There are some advantages to having a sports enthusiast as a friend. For one, you can get away with giving them cheaper presents, since a pair of cool socks bearing the logo of his favorite team or an autographed mug might make the best gifts under 100 for a baseball or football fanatic. You can reserve expensive pieces of sports memorabilia for very special occasions and just go for a sports-themed knick knack every other day of the year. Some of the affordable stuff that a hockey enthusiast might appreciate are highlighted below. Subtitled “The Untold Story of a Coach, a Dream, and the 1980 U.S Olympic Hockey Team” this book by Wayne Coffey tells a story of remarkable achievement that even people who aren’t that much into Hockey should be well acquainted with. The surprising victory on Lake Placid of a team of US amateurs over the apparently unstoppable Soviet juggernaut became the subject of many books, but few of them take such a close look at the events which unfolded at the 1980s Winter Olympics as Wayne Coffey’s work. He draws on countless interviews, many specifically conducted for this book, to paint a clear picture of the background and circumstances which led the US team to victory. A favorite college party game involves throwing various small items into drinking cup from long distances. This hockey-themed mug is specifically designed to facilitate that, and can help you deliver great performance even if your skills got a little rusty with time. It does so with a ceramic hockey goal, which extends just above the handle to catch any errant sugar cubes that might be thrown into the tea or coffee below. Made of thick ceramic, its body is shaped and textured like a puck, ensuring a good grip and cold touch. It can hold around 14 ounces of liquid and it’s wide enough for the goal to be kept out of your face when drinking. Another puck-shaped item, you might be forgiven for mistaking this 4 oz round bar of soap with shoe polish, as its black color makes it look similar. Similarities end there however, since this 100% natural product is used for removing grease instead of adding it and judging by the customers’ reviews it does a whole lot more. Besides the soda, it contains something like a half dozen oils to keep the skin on your hands from cracking during wintertime. This will be especially welcomed for those that partake in outdoor activities in cold weather, since this tends to dry up your hands, and give a very annoying itchy feeling. What better way to declare your love of a sport than with a pair of appropriately themed socks? After all, T-shirts and caps are for everyone, but it takes true dedication to match your socks with your passion! This natural-synthetic pair from MadSportsStuff is relatively thin and features compressed fabric in both the calf and the mid regions to ensure for a higher degree of comfort. The tips and heels are reinforced so they should last for quite a while, which is just as well, since there’s no option for purchasing them in bulk. There’s a lot of talk about the breakfast of champions, but what about the dessert of champions? Well, this scoop will allow you to have desert like a hockey champ, as long as it’s ice cream. The handle is said to be made from a game-used hockey stick, so it brings the ice of the rink closer to your kitchen table while also offering plenty of grip from a good quality material. The handle will extend more than usual, and the metal of the scoop itself is adequately thick, so it won’t bend under the pressure of deep frozen ice-cream. Cozy, snoozy and fuzzy are not terms readily associated with the game of hockey, but this is just how you might describe these “sports-specific” hockey slippers. Made out of 100% polyester, the interior is extra fluffy for maximum comfort around the house and they will stretch to accommodate your feet in less than a day. Sized for women, these would make a great gift for the female hockey fan in your life but can also be given as an ironic present for guy friends or even players, especially if they’re playing defence. A hockey bracelet adorned with the colors and logo of his favorite team is a necessary part of every fan’s arsenal. Swanny’s bracelets are made from actual hockey laces, braided together for adequate thickness and their options cover every team currently playing in the NHL. These are somewhat stretchy, so people with small enough hands might just slip them on or off, but they also feature a small plastic clip to make them easier to wear by adults. This will also allow you to get them through a ring or loop, to be used as ornaments on places like the rear-view mirror of a car. Hockey fans are known for their passion and commitment to the game. No matter what they do or what subject of conversation they pick they will always find a way to insert something hockey-related. In order to keep their fire alive, hockey fans devote almost all of their spare time for their hobby. They go to matches, they search online forums and websites for news or collect interesting items and souvenirs that belong to their favorite teams or hockey players. If you have a hockey fan in your family or group of buddies you might want to buy them the perfect gift, whether it’s their birthday or a holiday occasion. Finding that perfect thing that will knock their socks off can be a tad tricky but when it comes to hockey enthusiasts anything that has to do with hockey will definitely catch their attention. Because we have some hockey addicts in our team of research we wanted to give you a hand to make this process a lot easier. Based on some indicators such as age, personal style, and interesting features, we’ve managed to come up with a useful buying guide that can teach you a thing or two about the coolest gifts for hockey players. 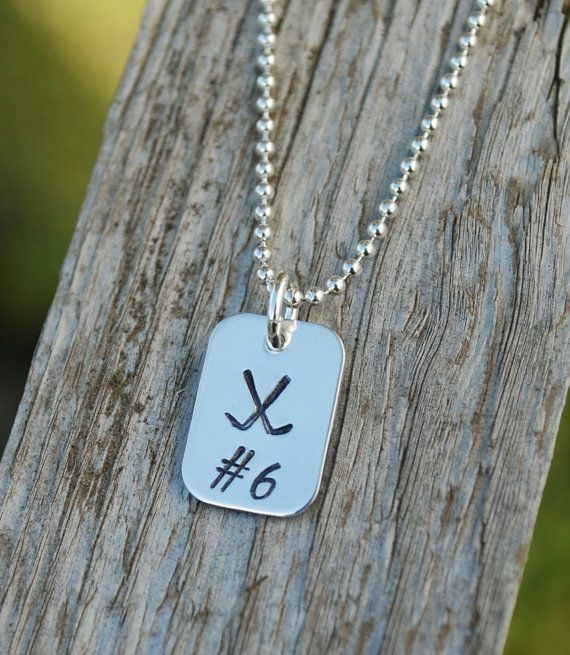 There are many interesting products for sale that you can get for a hockey fan. Although is a little more difficult when you don’t know much about this sport you have an important advantage in your hands. And that is our list of features showcased below that you can apply the next time you go shopping for cool hockey gifts. The reason why age is such an important factor is that hockey fans come in all ages and shapes. Plus, you can’t give a beer opener to an 8-year-old child and certainly a hockey puzzle to an adult. You need to pay attention and search for interesting gifts that are appealing to a certain age. For example, if you have a nephew or one of your friend’s child that is really into hockey then you should buy them a cool book that teaches everything that is to know about this sport. Starting with the rules, players, coaches, teams and ending with an awesome history that explains why hockey is so popular, these books are a great way to develop their passion for this activity but also improve their reading skills. Many of these books are specially designed for small kids that can use it to learn the alphabet. As far as dude gifts selection goes, you should aim for something funny and practical. A good idea that you can’t go wrong is an alarm clock that wakes them up with an authentic goal horn alarm sound. In addition, it features flashing LED lights and all 30 NHL team labels so they can get ready for work with their special team on the clock. If you want to buy a gift for an entire hockey fan family or for evenings spent among your hockey buddies then a special popcorn machine with the Stanley Cup logo will definitely bring tons of joy and excitement. A popcorn machine like this is easy to use and makes popcorn faster than the microwave does, without having to use any oil. According to the best hockey presents reviews, gifts that are outfitted with cool and interesting features are always the ones that are most talked about. 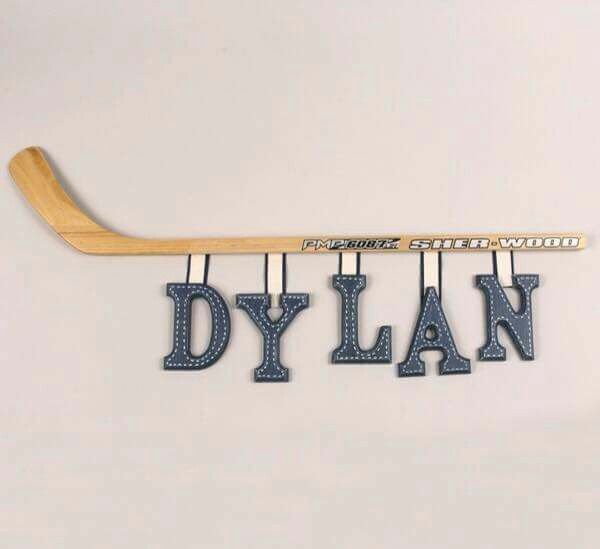 You don’t have to invest a large amount of money to give your friend something he’ll never forget because many items are hockey theme related which means the variety of gifts is larger than you think. One great idea is to buy a hockey mug with a net that can be used as a cereal bowl, as well. Young and adult hockey fans alike will enjoy flicking marshmallows, eating ice creams or drinking coffee from this giant mug that imitates the hockey rink so well. Hockey fans never leave their house for their hockey game without a proper jacket to keep them warm. This is why, a wood metal wall hook will come in handy if they need their hats, scarves, and scarves well-done organized. Even though they might love their ice, hockey addicts like to enjoy a delicious piece of meat from time to time. So why don’t you help them achieve their culinary desires by giving them a barbecue grilling tool set that looks exactly like hockey sticks? Each of these sets comes with a spatula, fork, and tongs, made with durable stainless steel. Depending on their skills and level of experience, hockey fans can either simply enjoy watching a game or actually play their favorite sport occasionally. You can take this into consideration and get them something that they’ll most likely use. Therefore, if you have a buddy that is really keen on seeing every hockey game each season why not get him tickets. You can go with him if you want or get more tickets so he can bring his family with him. You’ll find many special offers for sale if you buy the tickets from an early time. Jerseys with their favorite player or team are another great idea. You’ll find these items in specialized stores or on different websites that sell hockey gear. Most of the time, these sellers offer substantial discounts so hurry up and grab some for your hockey friends. On the other hand, if you have to buy gifts for athletes then you can check for an outdoor rink. Players that love a hockey game even in their spare time will appreciate this awesome rink because they can easily store it and use it only when they feel like having a blast with their friends and family. Something that doesn’t require a lot of time to setup and can be placed even inside the house, a hockey net is great for practicing their skills in the summer. Foldable and lightweight, this is the kind of gift that is a godsend for many fans. Not all hockey lovers enjoy the same type of gifts. While younger ones might like a nice video game to play on the Xbox, older ones like collectible stuff such as hockey sticks, jackets, pieces of equipment and so on. Pay attention to their personal preferences and see what items to they already own. Try to avoid buying something similar to what they have because you want them to make a nice impression.